The report, put together by industry body UK Music, said it supported 111,000 full-time jobs and and contributed £3.8 billion in 2013, up from the £3.5 billion the year before. Analysis in the Measuring Music report showed the business created £2.2 billion in exports due to the success of UK acts abroad. 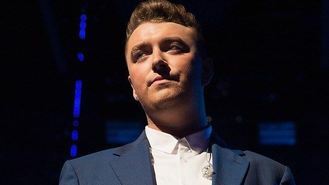 Recent success stories include Sam Smith, whose debut album sold 166,000 copies in its first week of release in America - and more than one million worldwide. Sam, who won the BBC's Sound of 2014 poll to identify new talent, follows in the footsteps of acts including One Direction and Adele who have cracked the profitable US market. UK Music boss Jo Dipple said: "We all know how amazing British music is. Now we can put a figure to its value. "Last year, its contribution to our economy grew by 9%. This is a big deal. We lead the world in song writing, composing, production, recordings and live performances. "You only have to glance at the 2014 Mercury nominees to understand what an eclectic, unique and world-leading bunch of musicians work in this country." Culture Minister Sajid Javid said the the industry was "one of our biggest success stories". He said: " Not only does it make a tremendous contribution to driving economic growth, but it plays a pivotal role in taking British culture to every corner of the globe. "One in every eight albums sold anywhere in the world is by a British artist, and I know that, with the ongoing support from Government, this dynamic sector will continue to flourish and thrive."